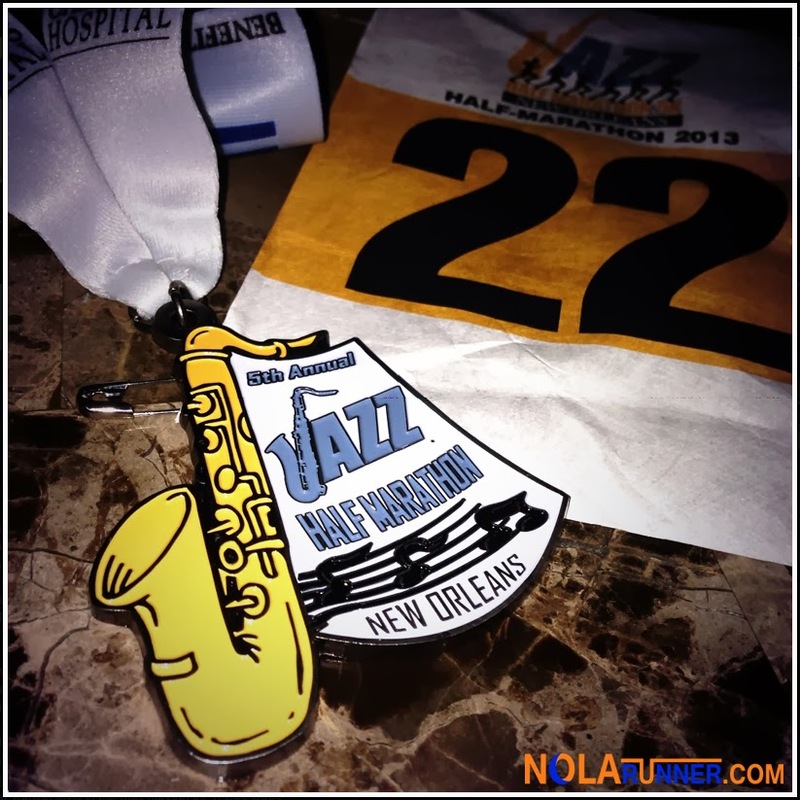 New Orleans was singing a different tune Saturday morning with the 5th Annual Jazz Half Marathon and 5K. It was a new race date with new race director, all benefitting Children's Hospital New Orleans. Having participated in the first four installments of the race, I had preconceived notions about how the morning would unfold and what was in store for me during my run. While I feel that I was properly prepared, instances like this prove that you have to be ready for whatever race day can throw at you. I picked up Anne early and made our way downtown to find parking. Fortunately, we easily parked on the street, as she was doing the 5K and could feed the meter as I ran the half. The off street lots that we passed had long lines to pay the fees digitally for parking at their location. Our teamwork saved plenty of time, and prevented any parking frustration. Lafayette Square was buzzing with thousands of runners when we arrived. Having registered at packet pickup the weekend prior, Anne and I were instructed to pick up our shirts on race morning. There was a line at the registration tables with last minute arrivals wanting to sign up, and I was soon informed that the shirts had run out and a reorder would take place. This was a good sign that participation was higher than expected for the 5th anniversary of the event, however I was disappointed to see that the shirts were cotton and not the tech fabric mentioned on the race website. Either way, I was saved a trip back to the car to stow it away. Runners lined up on Camp Street at a new location for the start line this year. It was more chaotic than in years past as there was little signage about the staging of the start. I believe previous years had a corral system for starters, and there were staggered starts for the half and 5K races. This year was a simultaneous start and no corrals were set up. Grammy Award winning artist and New Orleans native Irma Thomas sang the national anthem right before the scheduled 7am start time; however, race organizers had to wait a brief time to get the go ahead from police to sound the starting horn. 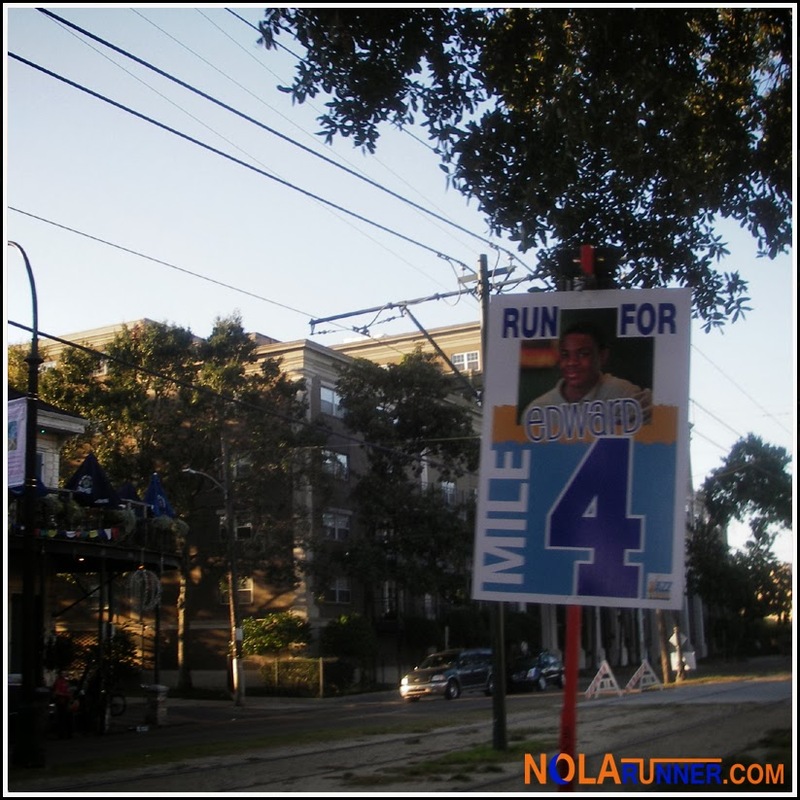 The new course for the entire 5K race and the first three miles of the half marathon had runners weave through the Warehouse District and downtown, and included a quick glimpse of the Mercedes Benz Louisiana Superdome. 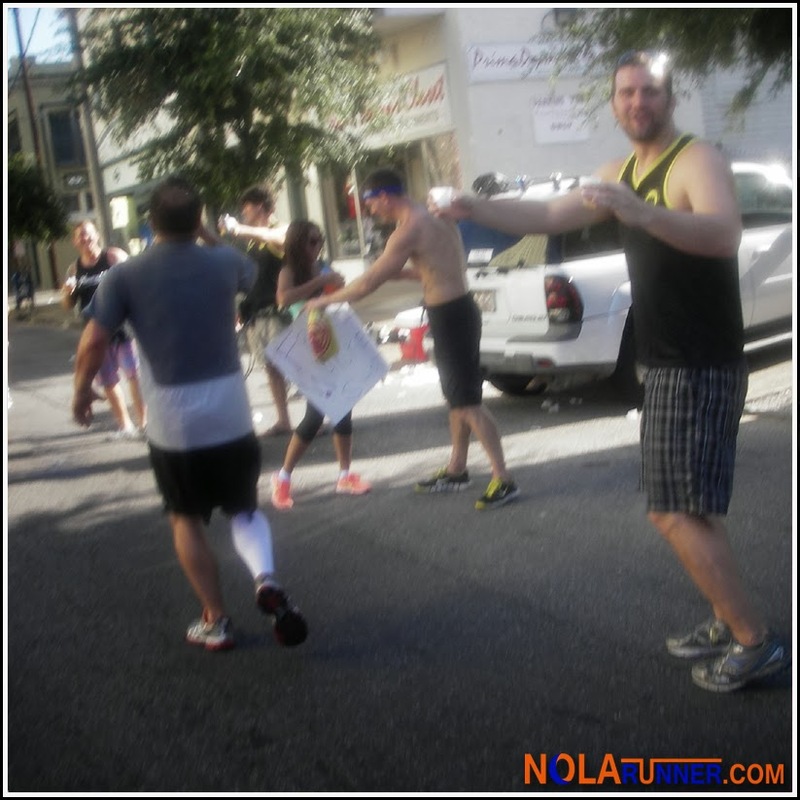 At Poydras and St. Charles Avenue, half marathon and 5K runners split up to continue their races. Members of the University of New Orleans Track and Field team manned the turns to make sure runners stayed on track, and in spite of all the weaving, I enjoyed the changes. One thing I didn’t enjoy was something out of my hands as well as anyone else’s. Race officials sent an email Friday afternoon with a heat advisory and instructions to hydrate properly. Not being a stranger to distance events, I was already well in to a hydration plan when the email arrived. I even went as far as fueling on race morning similarly to how I would on the morning of a full marathon. I was sure that the conditions would be taxing, and I was right. The heat and humidity zapped me early, and it was something from which I was never able to fully recover. After the first 5K, I invoked a modified Galloway Method of walking / running to make sure I would finish the race. Having run a half in decent time about a month ago, I knew physically I was more than capable. Just making sure I was as comfortable as possible while finishing became my top priority. After all, this is my first race of the season, and burning out (literally and figuratively) wasn't an option. The course up and down St. Charles Avenue remained the same as in previous years. Many of the water stations were manned by a youth organization that I believe is affiliated with the Marine Corps, and they were great in helping to keep my hydration plan on track. There was plenty of water and sports drink at every stop, which were adequate. I took some of each fluid at every station, but I was never able to rebound from my sluggish start. The inspirational mile markers featuring patients from Children’s’ Hospital failed to work as motivation to find a groove. Even the shaded loop that rounds Audubon Park didn’t pep up my pace, and I knew at that point the 4 miles remaining would be slow. My PR set on this course several years ago was safe, and hopes for finishing in under 2 hours faded away quickly. I was dejected, but determined to finish nonetheless. The sun was out and shining bright in runners’ eyes as the race concluded. Support on course was lacking in comparison to years past, but the faithful “Free Whiskey / $1 Water” stop was in the 12th mile where shots were quickly being handed out to runners. Initially not tempted in the least, I passed them by with a laugh. Then I had a second thought to go back to take them up on the offer; however, I acknowledged it as a bad idea and trudged forward for the final mile and the turns around Lee Circle. St Charles Avenue was followed by a straightaway down Camp Street to the traditional location of the finish line. Emmeline, who has been at many of my NOLA race finishes, walked out her back door to cheer me on in the final stretch. Anne had just walked away to feed the parking meter literally as I was crossing the line. She has impeccable timing, if nothing else. Emmeline met me at the exit of the finishers’ chute asking if I wanted water. I told her that I had already consumed enough water, at least for the time being, and motioned for her to follow me. 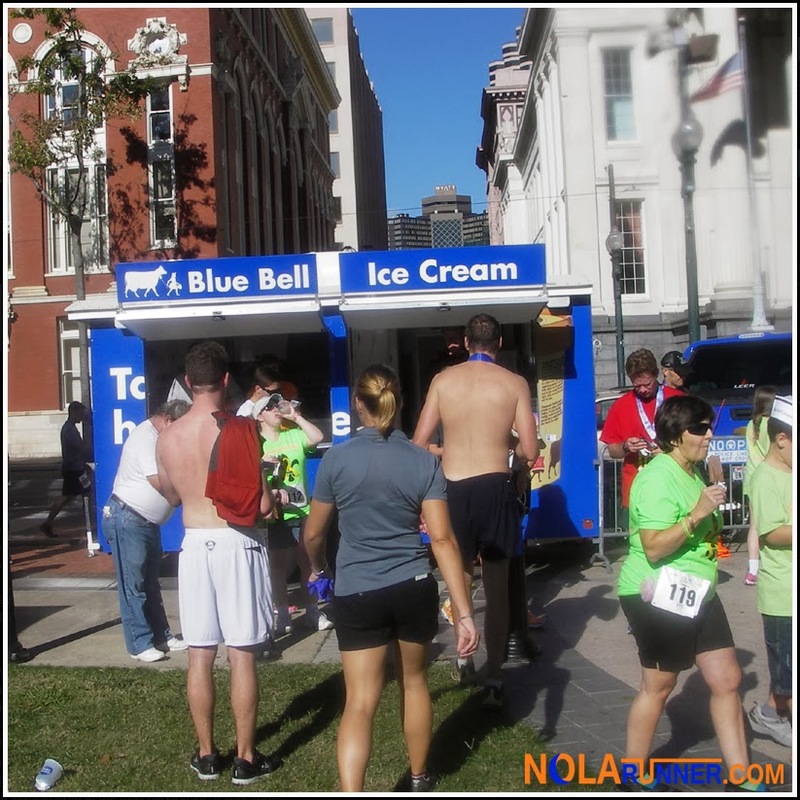 My innate ability to pick out a specific food vendor at any New Orleans event kicked in, and the Blue Bell trailer was my one and only stop at the post race festival. While I was inhaling an ice cold Fudge Bar, awards were being presented from the stage, live music was being played by local bands, and numerous other food vendors still had ample supplies for runners. Unfortunately, my trio was required to cut the celebration short so Anne and I could head to St. Francisville, Louisiana for her to compete in the Warrior Dash. More on that race to come later in the week. Even taking heed of the forecast and preparing properly didn’t set me up to have a stellar day at this year’s Jazz Half Marathon. While the earlier date of the event increased the likelihood of warm weather, it's completely possible to have that heat and humidity for Christmas in New Orleans. Overall, I’m glad that I participated, and even happier that I saw growth with the event. My hope is that it continues to grow, and the support on-course rebounds with more spectators to cheer runners on. With a backdrop as amazing as St. Charles Avenue, there really is no excuse to stay in on a Saturday morning. 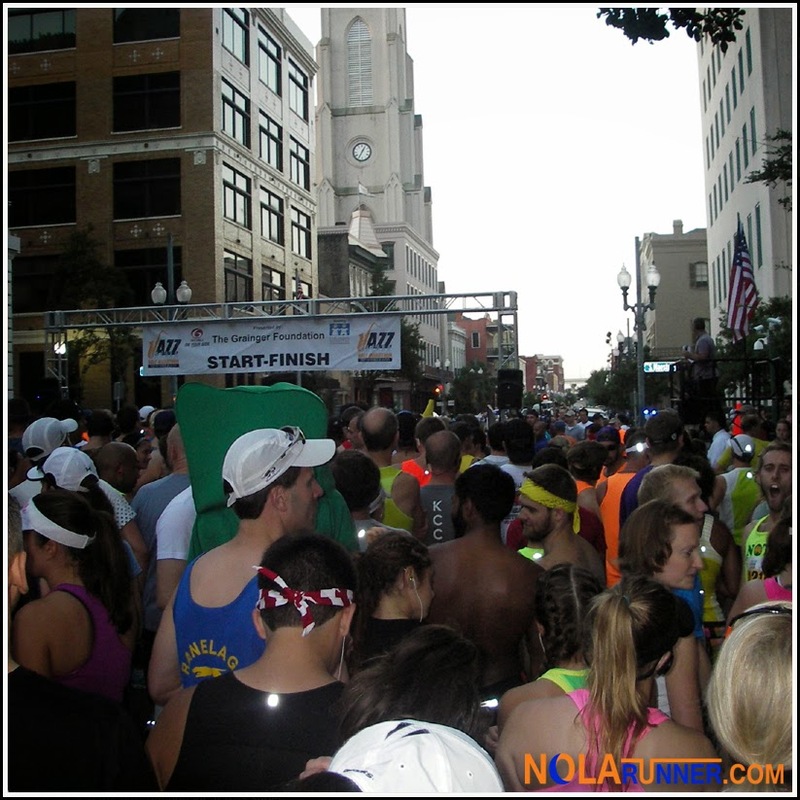 For more photos from race morning, check out and LIKE the NOLArunner Facebook page HERE!